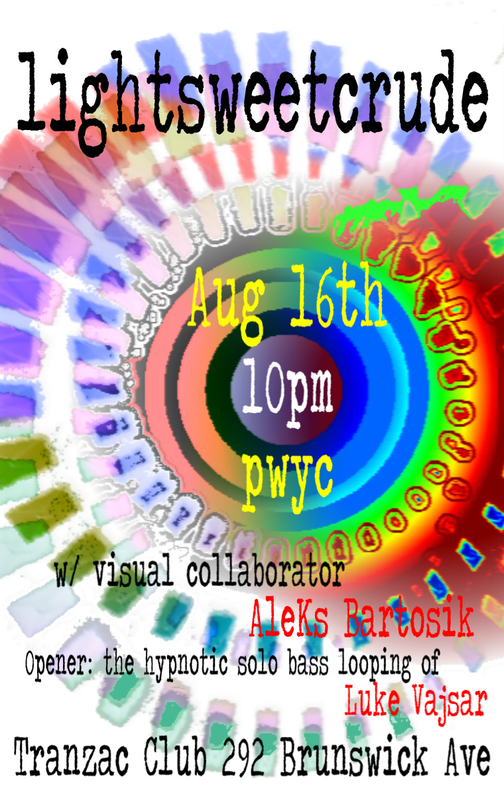 The projectors will crackle, Kyle Haight will be doing live painting, and some other guests TBA will be in the house to complete the experience. Join us. Hard to believe we’ve played Owen Sound twice, and not once in this great city right next door. Not that it hasn’t been on my radar since we started gigging in 2009. It has. 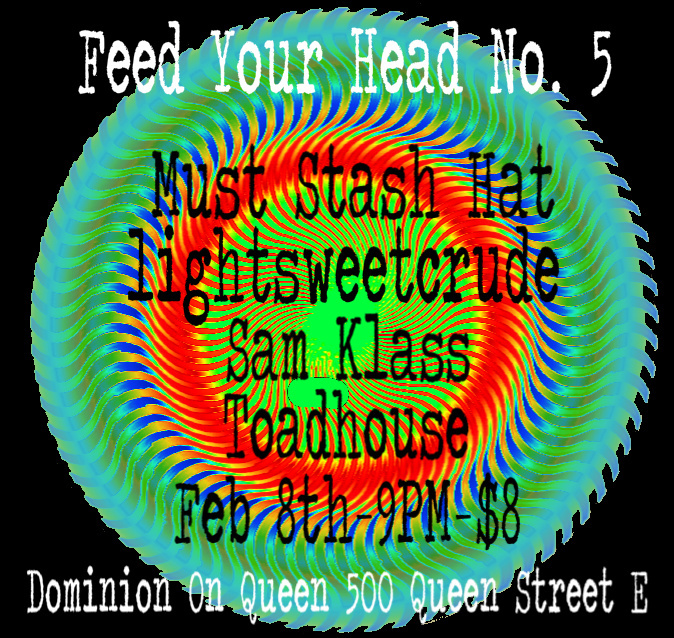 Somehow since my last Grateful Dead concert (ironically Copps Coliseum on 1990-03-22), and my popping my head up out of the studio trenches in 2007, curious once again about the ‘jamband scene’ (always a dubious term, but we’ll save that discussion for another time), Hamilton had become Ontario’s hub. Obviously bands traveling in from the US were more likely to stop in TO, but not always – Garaj Mahal and a few others were notable exceptions, adding a stop in the Hammer to their short North-of-the-border schedule, or playing exclusively there. How did this come about? I personally have no idea. There’s always a reason, though. Fill me in. 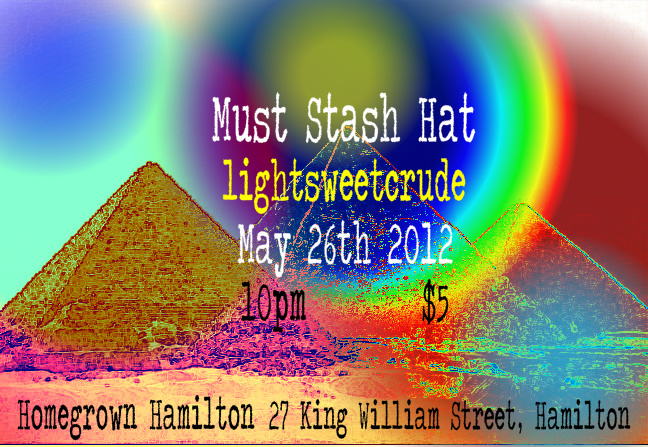 Must Stash Hat were uber-kind to ask us to open for them at what I’ve heard is a great venue: Homegrown Hamilton. We really dug MSH’s set when we gigged together at The Bovine in February – very tight, almost hypnotic, groove-oriented jamming, that really floored me. I was struck again by how many different approaches exist under the ‘improvised music’ umbrella, all taking us to the same place, but along different paths. 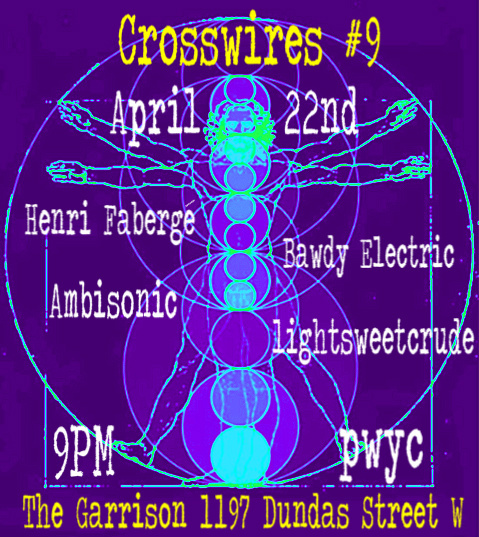 Crosswires is a recently launched pwyc night Sundays at The Garrison, curated by Doc Pickles of TO’s Wavelength crew. So far the lineups have been very interesting, and tastefully eclectic, with visuals by General Chaos being a regular feature of each gig. Nice!